Marathon executives touted earnings of more than a billion dollars in the second quarter this year and said the oil company is making progress in a proposed merger with a Texas-based refiner. Those earnings are more than double Marathon’s reported earnings of about $483 million for the same quarter last year. The company, based in Findlay, Ohio, cited strong earnings in its refining, marketing and logistics, and storage operations. Marathon is the parent company of Speedway, a convenience store chain headquartered in Enon, Ohio. 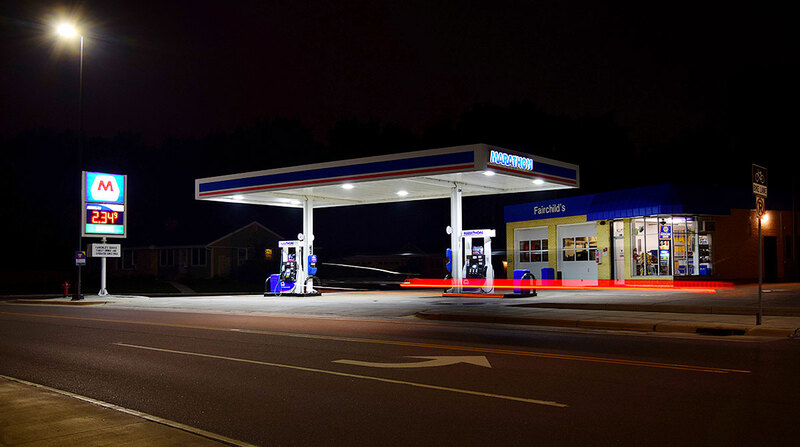 Speedway is a major employer in the region and operates 2,744 convenience stores in 21 states. The solid quarter partially was offset by lower earnings in the Speedway segment, according to information by the company. The company’s refining and marketing segment reported earnings of just more than $1 billion, compared to $562 million during the same period last year. Marathon’s midstream segment, which includes its logistics operations, also reported earnings of $617 million, compared to $332 million in the second quarter last year. Company officials said Marathon also is moving forward with two separate acquisitions. This Spring, Speedway announced a transaction in which the chain purchased about 80 convenience stores held by the Petr-All Petroleum Consulting Corp. in New York state. That deal is expected to close in the third quarter, according to information from the company. Marathon also is proceeding with plans to buy Andeavor, a Texas-based refining company, for $23.3 billion, creating a new combined company with an extensive reach across the United States. The company is pushing ahead with Securities and Exchange Commission filings necessary to finalize the transaction, Heminger said. Marathon likely will close that deal in the second half of 2018, subject to other regulatory and customary closing conditions. “There are tremendous benefits from merging these two businesses, and we remain confident in our ability to generate incremental cash flow and create substantial long-term value for our shareholders,” Heminger said. Andeavor operates refineries in California, the Mid-Continent and the Pacific Northwest, while Marathon’s footprint largely includes the Gulf Coast and Midwest. The combined company will be the No. 1 U.S. refiner by capacity and a top-5 refiner globally. Last week, the company announced that a team consisting of executives from both companies will lead the combined firm once the deal is finalized. Heminger will continue to serve as MPC’s chairman and CEO. The team will include seven executives from Marathon and three from Andeavor. Anthony Kenney, now Speedway president, will be resonsible for the company-owned and operated convenience stores.